We’ve been told since we were kids that fresh fruits and vegetables are good for us, and they will help us be healthy and strong. This is, of course, true, but what exactly do they do for us? Does it matter how fresh they are, and why? Furthermore, how can we afford these superfoods so we can live healthy and active lives? 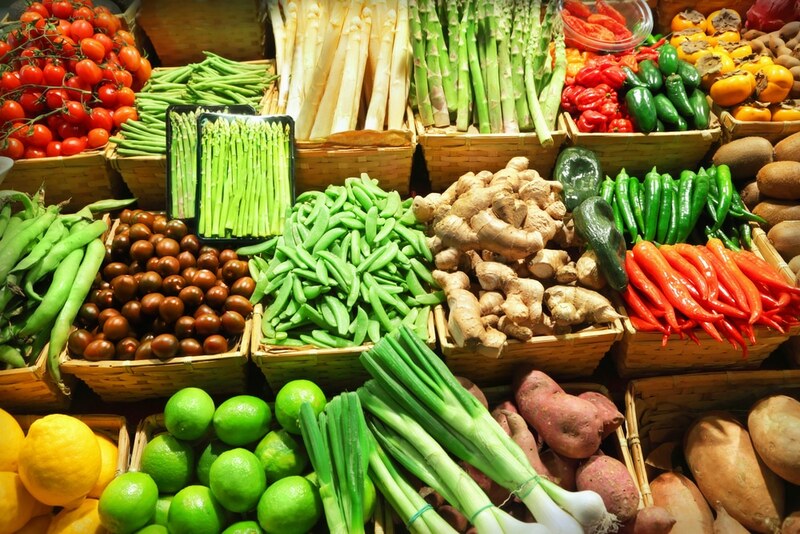 Let’s take a look at these questions and more as we delve into the facts about fresh produce. Fruits and Vegetables are the most important part of even a non-vegan diet. They contain vitamins and nutrients that are either absent from or minimally present in animal products and help prevent a large array of health problems. Let’s take a look at all the ways that produce protects us. Fruits are created by plants as a means to spread their seeds far and wide. When an animal eats the fruit, it either passes the seed through its body and deposits it in a pile of nutrient-rich waste, or at the very least carries it away from the parent plant to spread the species. Because of this need to be appealing to animals, fruit has evolved to not only be nutritious but also delicious. The fruit plants survive by being indispensable to animals, including humans. The term vegetables is quite broad in its interpretation. There is actually a lot of controversies out there regarding what constitutes a vegetable, but the USDA classifies five subgroups of vegetables for the purpose of eating. The groups are dark-green vegetables (spinach or kale), starchy vegetables (potatoes or beets), red and orange vegetables (tomatoes and peppers), beans and peas, and other vegetables. Unfortunately, we don’t always have the opportunity to consume fresh fruits or vegetables. Sometimes the vegetables we want or need are not in season or must be transported from far away. Other times, fresh vegetables are just too darn expensive to buy every day to get our dietary requirements. This is unfortunate because fresh produce is almost always better for you than preserved produce. However, preserved or packaged produce is monumentally better for you than no produce at all. If you have no choice, then it is absolutely fine to eat frozen, canned, cooked, juiced or otherwise packaged fruits and vegetables. That being said, if you do have a choice then fresh, raw produce is the way to go. Simply put, it’s just healthier for you. Fresh fruits and veggies retain more vitamins and minerals that your body needs. Most preservation processes cause produce to lose a portion of its nutritional value. For instance, cooked vegetables have lower amounts of fiber because the heat breaks some of it down. Also, frozen fruits can contain less vitamin C than the fresh variety, partly because they are frozen before the fruit has a chance to ripen fully. Not only do fresh fruits and veggies have more of what you need, but they also have less of what you don’t. Frozen, canned and packaged produce usually have additives to keep them from spoiling. High sodium content is common in frozen foods, and sugar-heavy syrup is often found in canned fruit. Other chemical preservatives might also be lingering in preserved produce items. While these preservation methods aren’t the healthiest, they do serve a purpose. Farm fresh fruits and vegetables are great, but they aren’t perfect. Because they are so fresh, they spoil relatively quickly which requires you to consume them almost as soon as you procure them. You also have to shop for them regularly because you can’t store them for long. Failure to do so increases waste when you are forced to throw out perfectly good food that went uneaten for too long. Produce straight from the ground or plant, while healthy, is not entirely safe all of the time. Vegetables pulled straight from the earth are covered with bacteria and harmful substances from fertilizers or that are naturally occurring. It’s also possible with fruit, which has the added risk of insect infestations. Proper inspection and cleaning are paramount if you want to stay healthy while reaping the benefits. Another factor to consider is the cost. Because of the transportation difficulties inherent with perishable goods, fresh produce is virtually always more expensive than the preserved variety. Organic produce from sustainable farms can be more expensive for a variety of reasons such as costly organic certification and lacking of government subsidies. A farmers market is one of the best places to shop for fresh and reasonably priced produce. Fortunately, there are tricks to stretching your money in the produce section. Since the rigors of transportation can necessitate preservation methods that reduce the nutritional benefit of produce, it’s best to consume fruits and veggies that are grown close to your home. The best place to find this produce that has not traveled very far is a farmers market. Here are a few tips to make sure you find the best and most affordable food you can. Find the Right Market: Not all farmers markets are the same. Some are located in more affluent neighborhoods where consumers can afford to spend more money on more “attractive” produce. Farmers will send their bruised or slightly over ripened fruit to other markets where consumers are more interested in bargains than the appearance of their food. Ask around your fellow market-goers or even ask the farmers themselves. Negotiate and Settle: Farmers markets aren’t like grocery stores, you can bargain and haggle to some degree. Don’t be pushy though; you want to come back next week and don’t want to leave a bad taste in vendors’ mouths. Also, ask to see the overripe stock and ask for deals on the less than ideal produce. Just because it has a bruise or will go bad in a couple of days doesn’t mean you can’t save money and eat it tonight. Avoid the Rush and Buy When the Time is Right: Because prices aren’t always set in stone, farmers will change them depending on the demand. The morning rush is common at farmers markets from around 10:00 AM to 12:00 PM. Since demand is high, prices will follow. The best time to shop is usually afternoon. Farmers travel far to sell their wares and sometimes stay the weekend in a big city area. They likely will want to offload their stock before heading back home for the week. No one can argue that produce is not good for you. The benefits for your health and well-being are undeniable. Always stick to fresh and raw vegetables when you can, and if the price is an issue, do your homework and get to a farmers market to hunt for some deals. If you are able, it’s worth it to put time into ensuring your produce is the freshest and best it can be.